In preparation for our Melbourne market opening in just a few days, we chat with kitsch-smitten, fairytale-fancying, pop-femme picture-maker Mel Macklin. Hello there! I’m Mel, a kitsch-smitten, fairytale-fancying, pop-femme picture-maker from Melbourne. More specifically, I would say I’m an illustrator because of the strong narrative element that’s always inspired my work since I was a child. 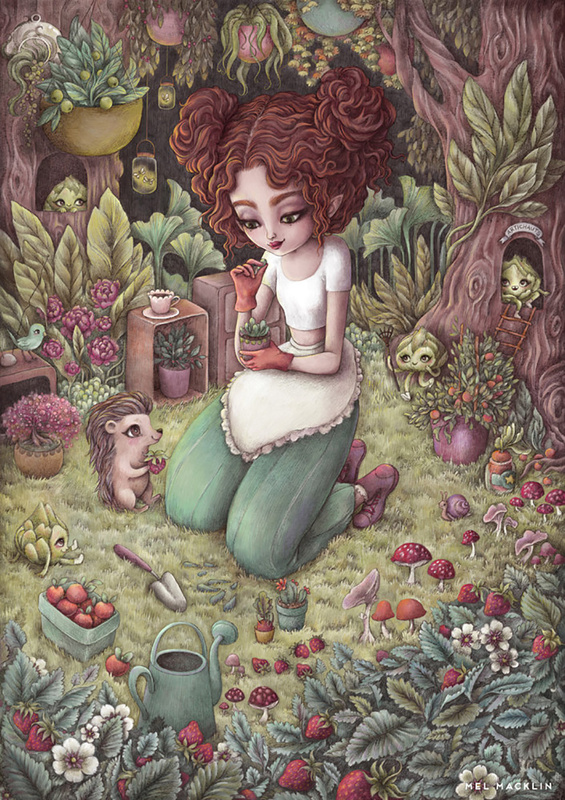 My artistic style blends lowbrow influences with delicate, detail-oriented European storybook illustration. In any one of my illustrations, a careful eye will find unlikely pets (albino alligators anyone? ), disapproving cats, anthropomorphic food, the odd rose or strawberry, and at least one magical girl. 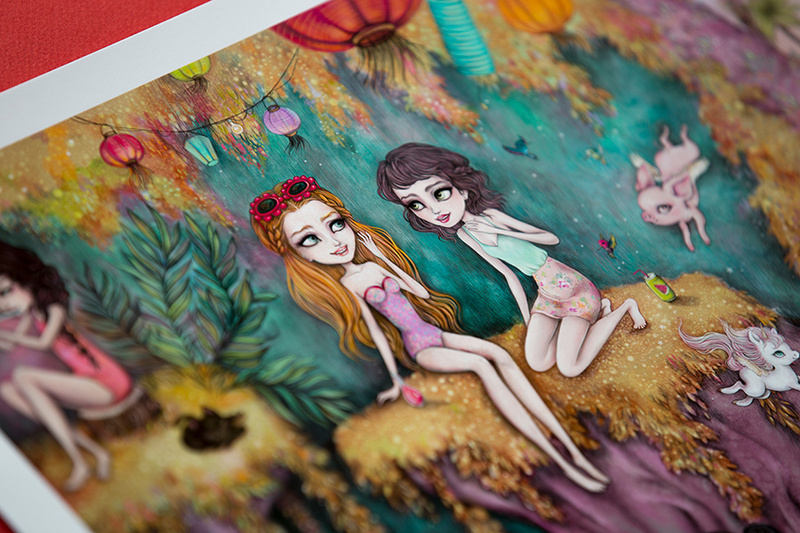 My heroines seek to capture how traditional fairytales interact with contemporary life (because if mermaids did discover bubble tea they probably would forget all about flirting with sailors). So too do I live vicariously through them: whatever size, shape or colour, my girls are all a little piece of me. With their adventurous spirits, love of mischief, couture threads and awesome hair, it’s my hope that my characters inspire all the same sass, fun and creativity in my collectors as I felt in making them. Enjoy every second, your debut is special! Even though my brand and shop setup has evolved (hopefully for the better!) in the 3 years I’ve been exhibiting at the Finders Keepers, there’s a few rules I always hold myself to. Even if I’m racing the clock to get everything ready, I always leave enough time to dress up in something spesh, and do my hair nice. Have a presence that is in some way an extension of your brand- for shy peeps like me, wearing something that stands out will give you a bit of pep, make you memorable, and will allow your customers to approach you and get to know the person behind the brand. Also!- listen to what your customers are saying, smile, say thank-you, and don’t be discouraged if people don’t want to talk or just want to take a business card. You never know when they might be back! Tell us something exciting that you have planned for Mel Macklin this year. 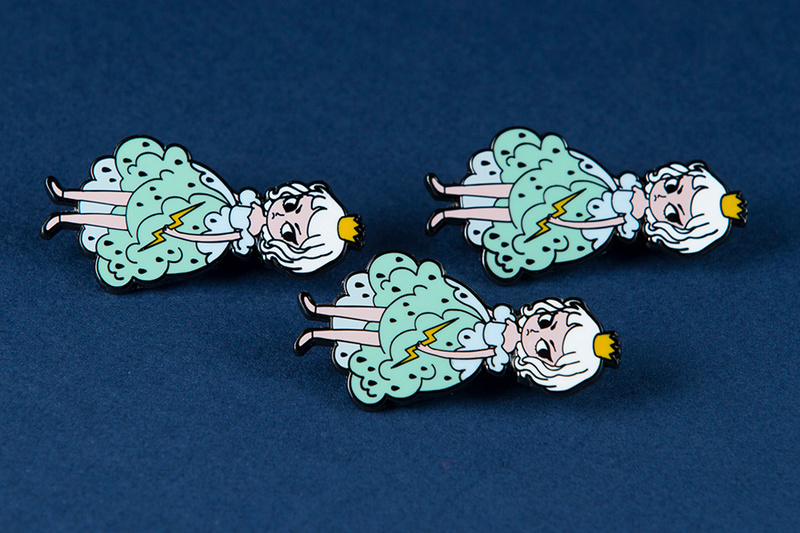 I have just this year launched my first two series of enamel pins, which is very exciting! 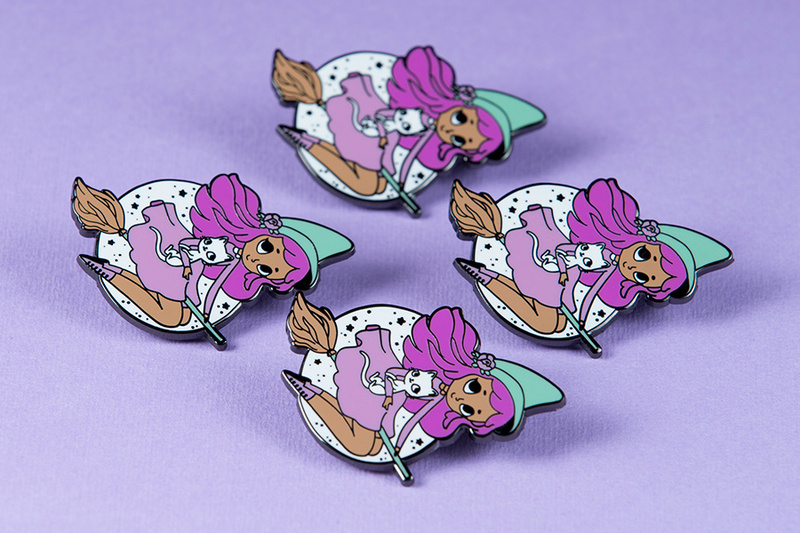 The ‘Thunderbolt Brat’ pin has been the design my collectors identify with most. I love that she’s so resolutely grumpy, and that people’s initial reaction is to laugh, and tell me a story about themselves or someone they love, convinced that I’ve made that character just for them! Hehe, me! My label is such an extension of my imaginary universe, and all the weirdo things I like to draw (socks and heels anyone?). Of course, listening to people’s own stories has made my work much richer and more relevant, and no creative person who wants to build their business can live in a vacuum. This is where events like the Finders Keepers are so valuable, so often by necessity creatives work in isolation, so it’s really important to interact, take an interest in and respond to the people who want to support us! I also couldn’t live without my printer- I use archival inks on museum quality paper, and this little combination together is tested to last at least 120 years. 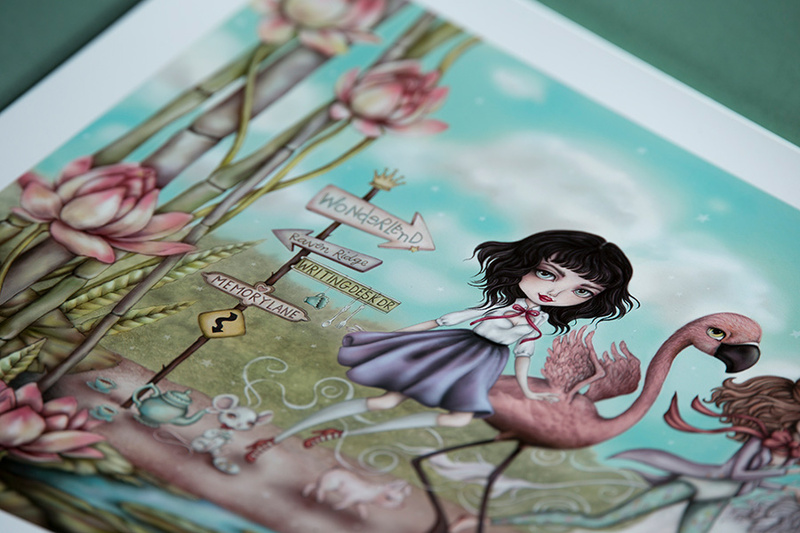 All my prints are signed and numbered limited editions. As a collector myself, I love knowing that the artwork I buy is finite in the world, and has been personally handled by the artist who made it. 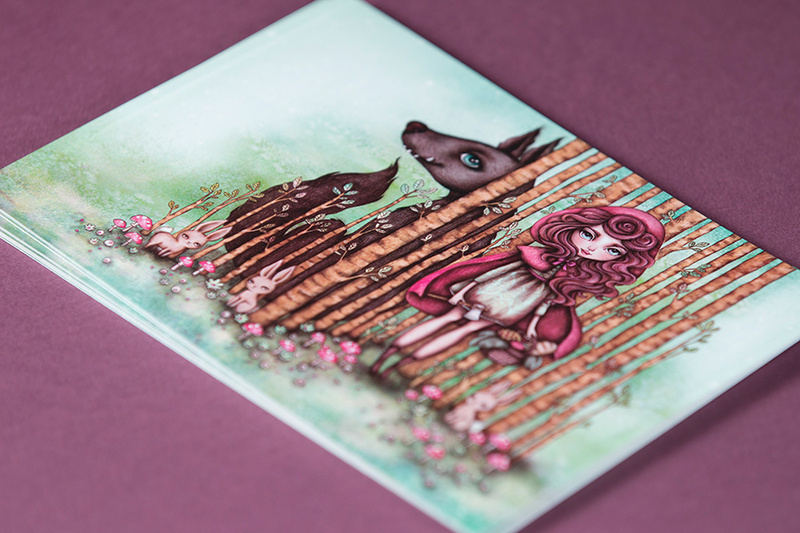 Making things to last is my way of saying thank you to the wonderful people who buy my work: I want them to be able to enjoy their prints for many happy years to come, and for the quality to remain as lush and vibrant as the day they adopted it. 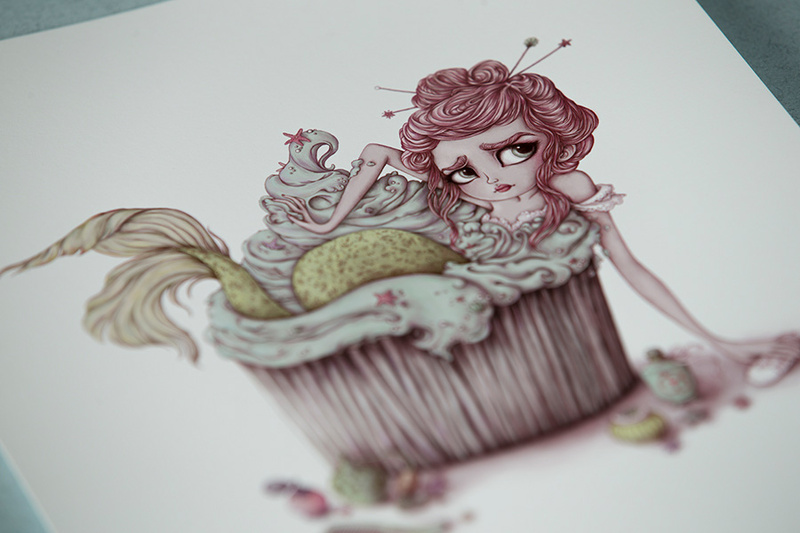 My current favourite is my deluxe A2 limited edition print ‘The Cookie Committee’. 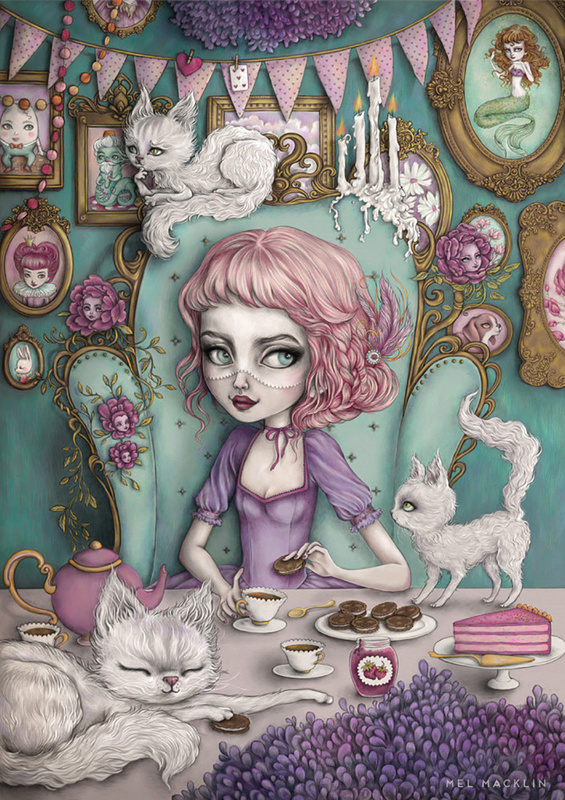 It was inspired by cookies, cats, all things Marie Antoinette and a whole lotta Wonderland. (But mostly cookies, which, in my humble opinion are very worthwhile things to have committees for).